Pagani Automobili is a well-known Italian specialty auto-maker focusing on supercars and carbon fiber. The company is based not far from Modena, Italy. The history of Pagani dates back to 1988. It was then that Horacio Pagani, who used to work for Lamborghini, created his own company Pagani Composite Research. For some time, his company just collaborated with Lamborghini on designing and restyling cars until Pagani started working on his own project. It was later named “C8 Project”. In 1991, he created one more company, Modena Design, which focused on developing prototypes. One of the projects developed by Modena Design was the Fangio F1 prototype, which was later renamed the Zonda C12. The designers who worked on the project had the following task: the car should look “sensual,” its wheel arcs resembling a woman’s bosoms, its rear bonnet resembling the hips. The result of this work was unveiled in 1999 in Geneva. The car powered by V-12 engines made by Mercedes-AMG was known for its unusual design elements including the circular four pipe exhaust. The Zonda range is comprised of more than 10 models, including the racing car Pagani Zonda GR. There are also over 15 bespoke versions. The Huayra project was conceived in 2003 when the Zonda was starting to be left behind by the innovative models developed by the competitors. According to Horacio Pagani’s view, the car was to be in the avant-garde of the technology. The mid-engined sports car was unveiled in early 2011. It was powered by twin-turbo, V12 engine provided by Mercedes-AMG. The project turned out to be very successful. For instance, Top Gear named it The Hypercar of the Year. Also, the model set the record on the Top Gear Test Track, which was beaten only four years later by the McLaren 675LT. The symbol is built around the brand name placed inside an oval shape, which make is somewhat similar to the Ford emblem. However, the badge itself is more intricate than Ford’s one. 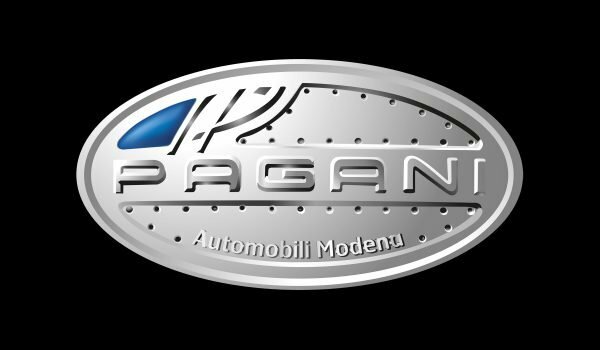 There is a very interesting “mirrored” letter “P” above the word “Pagani.” The two letters “P” (the regular and the mirrored ones) form one more oval, which echoes the overall shape of the logotype. 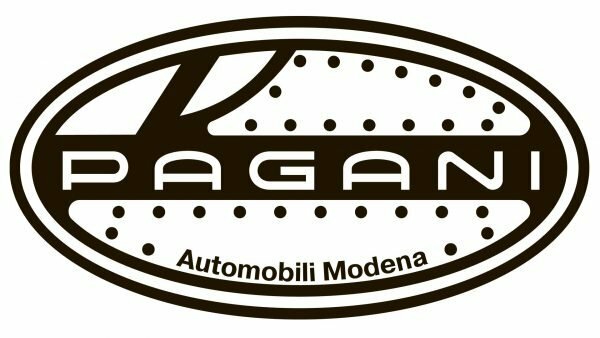 The space between the frame and the word “Pagani” is covered with small dots. Below the name of the brand, there is the lettering that reads “Automobili Modena” (“Modena cars”) leaving no doubt as to what industry the company works in. In certain visual contexts, a simplified Pagani logo is used. It comprises only two elements: the brand name and the oval shape, which is just a little bit bigger than the lettering. All the other elements of the regular logo are omitted. The bold, solid sans serif typeface emphasizes the reliability and power of the Ram trucks. Among the distinctive features of the font are the flattened vertices. All the three letters are capitals. 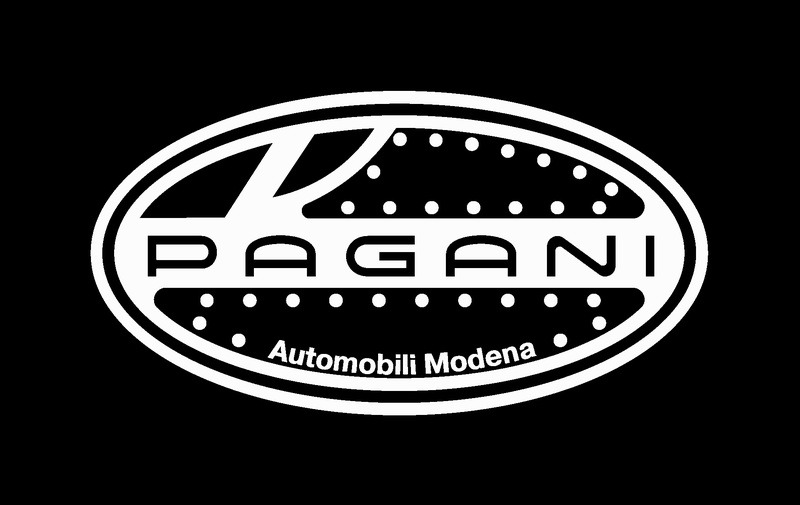 Interestingly enough, there exists a typeface named Pagani. However, this is not the font actually used in the logo. The Pagani logo features a customized sans serif font looking very clear and legible. The letters are smooth and rounded. The lettering “Automobili Modena” is given in a different type, with more pronounced square angles. The company website combines the Josefin Sans typeface for captions and the PT Sans for the body copy. The palette is built around grey and its shades, from the very light, almost white letters, to the darker frame. The highlight of the logo is the blue detail in the top left corner. The rich, saturated shade of blue creates an appealing contrast with the grey background. Also, in some circumstances, a black-and-white version of the logo is used. In this case, not only the color scheme is altered, but the logotype itself is modified, too: it is simpler and features a different typeface.